You can almost believe you’re really there! 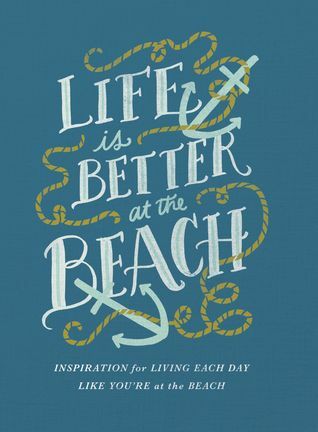 The beautiful four-color book of inspirational photos, Bible verses, quotations, and short writings invites you to escape the buzz of the everyday and into the tranquility that the beach offers. Each section of this book will cover a “beach rule” and encouraging thoughts on how you can incorporate that mind-set or behavior into your daily life. Much of Jesus’ ministry happened along the seashore, where He told His followers about the peace and rest His Father offered them and modeled the best way to live. In the same way, this book transports you to a favorite beach locale and helps you apply rules for beach living to everyday life—rules to slow down, to notice the beauty in the little things, and to incorporate rest into even the most stressful times. Full of serene images, inspiring quotations, and restful Bible verses, this book will be a natural addition to your coffee table or desk, as well as a lovely gift for that beach-loving friend. This is an exceptional book – either to give as a gift or to buy for yourself. It is full of wonderful advice, insightful life tips, and beautiful imagery! Reading through the book, it’s easy to imagine hearing the waves crashing outside your window… or the call of gulls as they glide over the ocean water. I have the e-version of this book and while I highly recommend snagging the hardback edition as well, it is exceedingly handy to have a copy on my iPad. I get to take this wonderful volume everywhere with me – and there are unexpected stresses everywhere. It is a delight to have this book with me when I’m on the go!